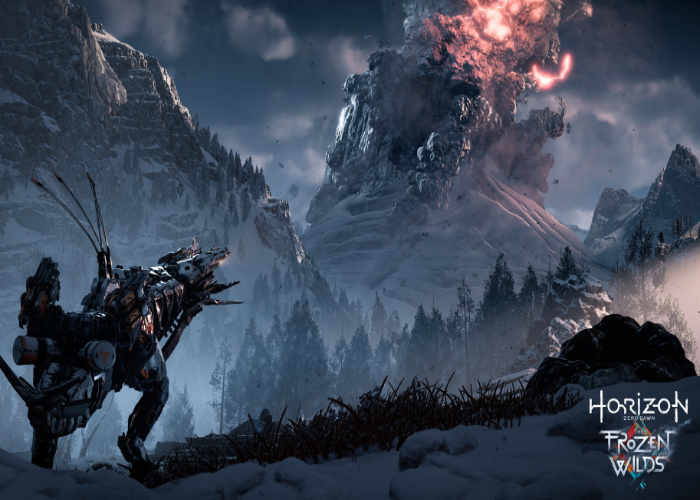 The Horizon Zero Dawn The Frozen Wilds expansion will be available in a few days time on November 7th, 2017 providing a new cold extremes and hostile environment to explore beyond the northern mountains. Where the borderlands of the Banuk tribe challenge all who dare enter to survive the extremes. Check out the latest trailer to whet your appetite for the new content which has been published by developers Guerrilla Games and shows how to create your very own Scorcher robot in the Frozen Wilds. The Frozen Wilds expansion is available to pre-order right now from the PlayStation Network Store for $20, or $15 if you’re a PlayStation Plus member. As this content is an expansion to the original game you will need a copy of Horizon Zero Dawn in order to play The Frozen Wilds. Beyond the northern mountains, the borderlands of the Banuk tribe challenge all who dare enter to survive the extremes. But now this frozen wilderness harbours a new threat, and for Aloy, a new mystery – one she’s determined to solve. The Frozen Wilds contains additional content for Horizon Zero Dawn, including new storylines, characters and experiences in a beautiful but unforgiving new area. – Enhanced for PS4 Pro with dynamic 4K gaming, improved graphics and environments, and High Dynamic Range visuals.